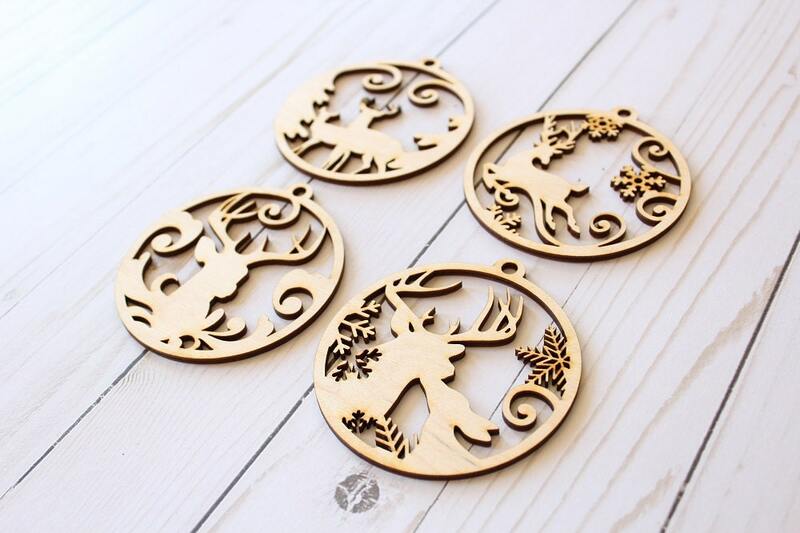 Here is a collection of (4) different stag ornaments.! 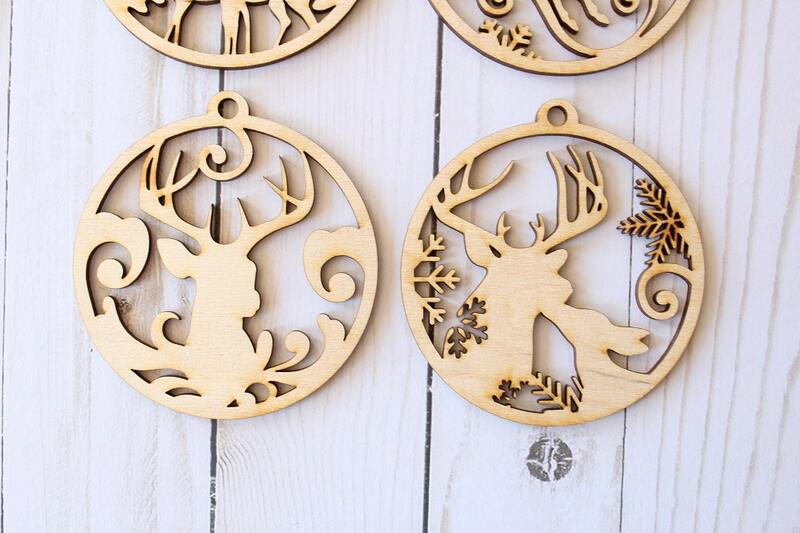 This collection is perfect to add that finishing touch to your country Christmas.. 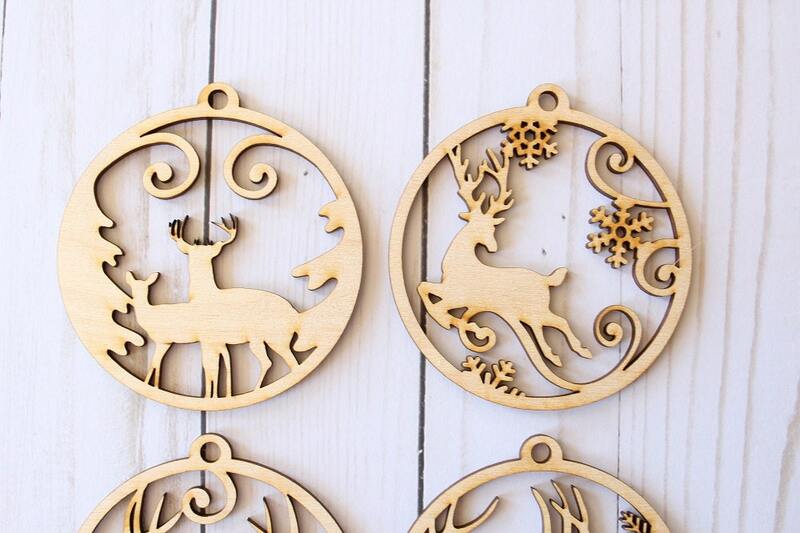 These ornaments can be hung on your Christmas tree, added to gifts and around your home in various craft projects. 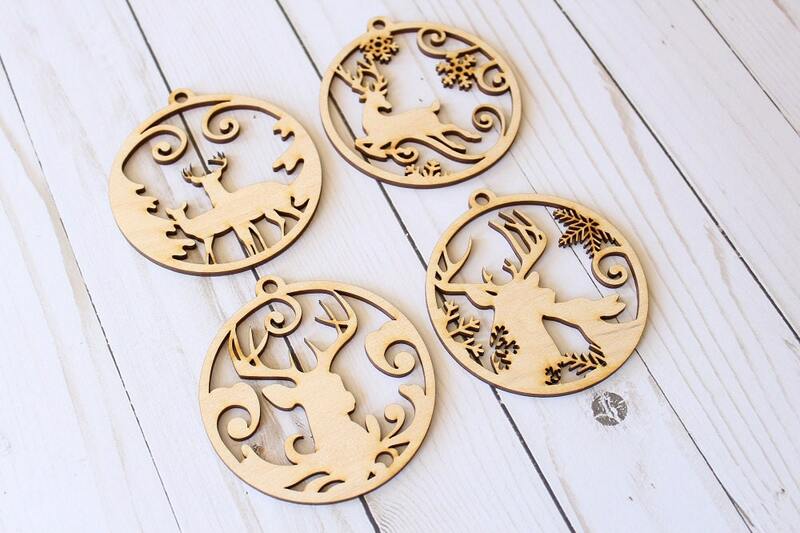 Our ornaments are laser cut from 1/8" baltic birch and are unfinished ready for stain/paint or can be left unfinished for that rustic look..
(4) ornaments are included per set (shown in the listing photos) you will receive (1) of each style. Great quality and craftsmanship at an affordable price point! Im very happy with this purchase, the packaging is great and everything came in perfect shape! 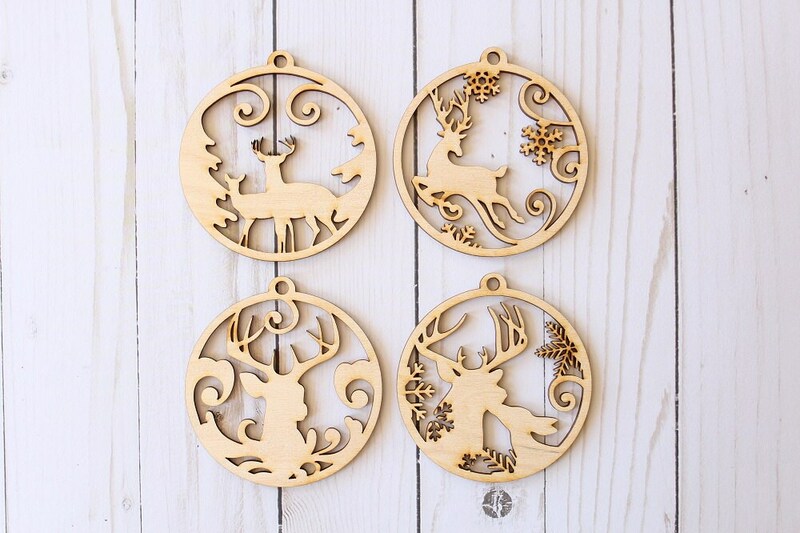 All natural wood reindeer ornament set, very pretty. Arrived promptly.